Organizations are stepping up their adoption of hybrid cloud solutions over the next three years while the use of private clouds and on-premises hosting environments decline. Research commissioned by cloud hosting and managed services company Peer 1 Hosting which queried more than 900 information technology decision makers from Canada, the United States and the United Kingdom, found that 10 per cent of firms are primarily using hybrid cloud systems, while 28 per cent said they intend to turn to hybrid cloud within three years. By contract, on-premises hosting is expected to fall from 31 per cent to 17 per cent over the same period and use of private clouds is anticipated to drop from 52 per cent to 41 per cent. 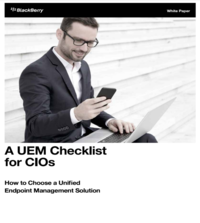 The research which was carried out from December last year to January 2015, also turned up a number of reasons why IT departments are turning to hybrid clouds and the barriers organizations are facing in their use of hosted technologies. “The proposition of hybrid cloud is compelling: cost savings, business agility, and operational efficiencies are the qualities that IT decision makers are looking to bring into their organizations,” said Toby Owen, vice-president of product for Peer 1. 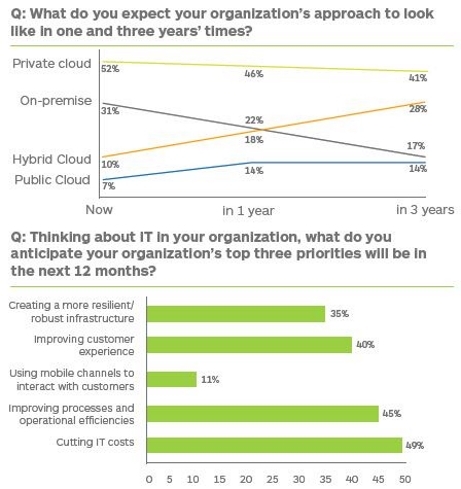 Based on the results of the poll, it appears that economic reasons are the main cause of the shift to hybrid clouds. Owen said hybrid cloud adoption is being held back by security and data protection concerns.